Welcome to Florida vacation living at it's finest! 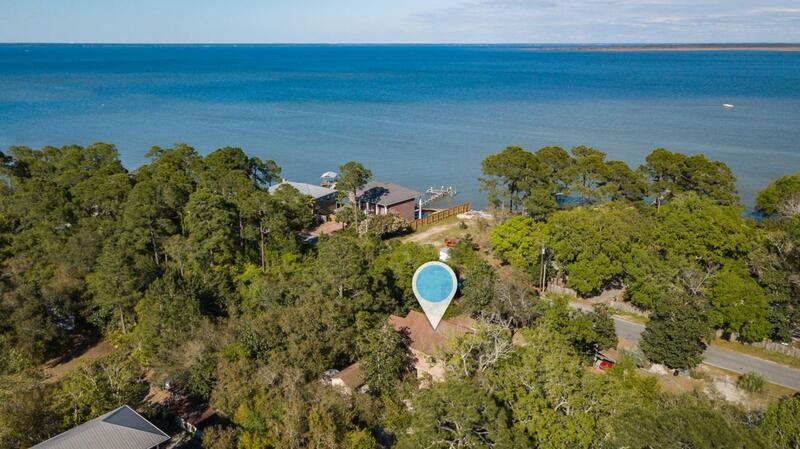 Beautiful views of Mack Bayou from this secluded location! Enjoy coffee while watching the sun rise from your second floor deck and bask in the peace and quiet. Wander inside to the large living area through one of the over sized glass sliders that brings plenty of light into the main room and fall in love with the open floor plan, wood flooring, and vaulted ceilings. Continue your Bayou views while playing a game of pool from the full-size pool table that is conveying with the home or relax and unwind with a glass of wine from the separate bar space upstairs. Fully stocked kitchen, complete with island, plenty of cabinets, tile counters, full size fridge, dishwasher and stove for all your entertaining needs.Use the heated/cooled sun room for additional living space, or quiet reading corner or even a bunk room! After enjoying the upstairs space, retreat down to the spacious sleeping quarters. Three large bedrooms, 2 full baths, and a bonus space grace the first floor of this property. The master bedroom boasts wood style laminate flooring, crown molding, neutral walls, a private full bath and a bonus space! The master bath is complete with a walk-in shower, tile floors, linen closet, and over sized vanity counter. Bonus room just off the master can be equipped for an indoor laundry room, additional closet/storage space, sitting room, or more sleeping space. Two additional large bedrooms and a full bath are also on the first floor level for convenience. Don't forget the endless possibilities with a detached 20X10 cooled building on the property. 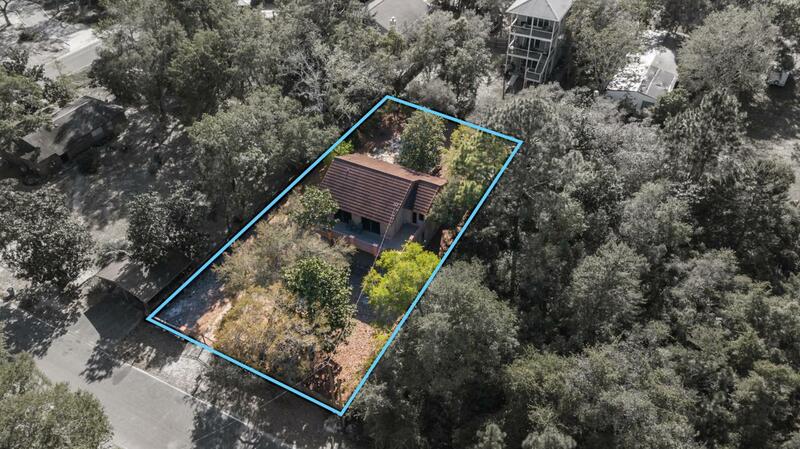 A perfect space for creating a studio, office, pool house or even an Owner's closet! 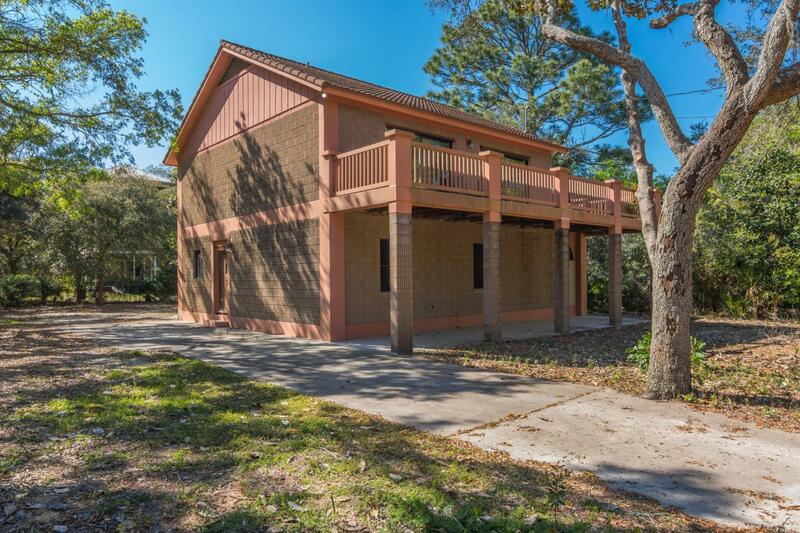 Property is spacious for ample parking that can accommodate an RV or boat as well as a number of vehicles. Features of this fantastic property are endless! 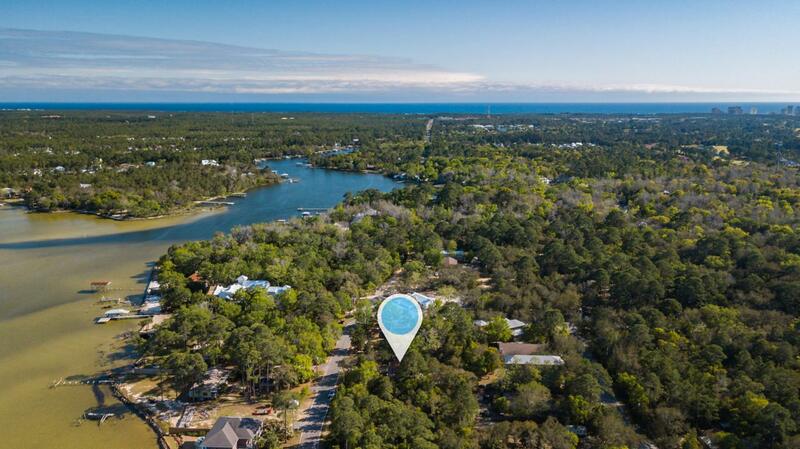 All this just a few steps away from the public boat launch and minutes from the sandy beaches of the Gulf. Home feels secluded while still being a hop away from the great shopping that Destin has to offer. This is a perfect vacation retreat, second home, or primary retreat.